Unionist Voice can exclusively reveal that Belfast City Council staff have been ordered to remove Britain’s Got Talent posters from their community centres, because they contain the Union flag. 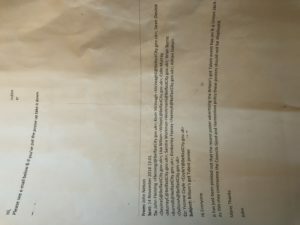 A leaked email, exclusively obtained and published by Unionist Voice, shows that council officer John Nelson ordered staff members across the council’s community centres to remove posters advertising Britain’s Got Talent auditions, because they contained a Union flag. Mr Nelson advised that the existence of the Union flag had been “pointed out” to him and that it would contravene Council’s “Good and harmonious policy” and as such the posters “should not be displayed”. One whistleblower who provided Unionist Voice with a leaked copy of the email said “many of us are disgusted by the whole ethos of Belfast City Council. The senior management is exclusively pushing a nationalist agenda. This outargeous diktat will cause enormous anger within the unionist community and only reinforce the growing reality that Belfast City Hall is a cold house for anyone from the Protestant, Unionist or Loyalist tradition. * Note: this story has been revealed by Unionist Voice and if it is being lifted by mainstream outlets we would request that, as a matter of journalistic courtesy, Unionist Voice would be referenced as the original publisher of the story.